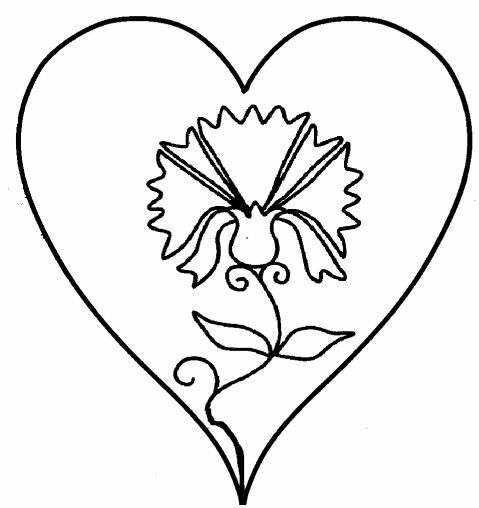 In Elizabethan times, the Gillyflower was the flower of love, and featured prominently in all love poems and in courtships. It was also known as a “Pink”, but is now known by the rather more prosaic name of “Carnation”. 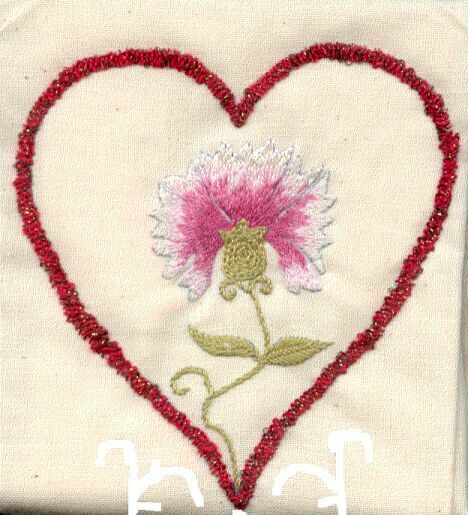 As you can see by the stitched flower, Gillyflowers have a very distinctive shape, and this shape lends itself very well to the silk shading technique used to stitch the petals. 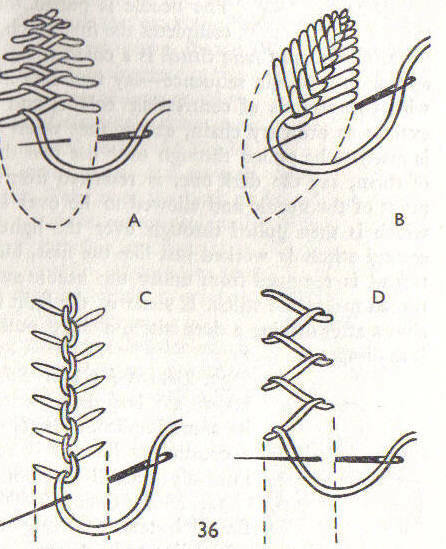 The stitches used in this design are: long and short stitch, chain stitch, stem stitch, cretan stitch, and braid stitch. 1. Petals: stitch in long and sort stitch using 2 strands of thread, starting at the tips and shading back towards the bottom of each petal. Ensure that each petal is completed before starting the next one, and ensure that all stitches follow the line of the petal. Stitch the very tips of the petals in ecru, and then shade down each petal using the 3 colours of pink – from lightest to darkest. To ensure that the stitches lie flat you may want to use a laying tool. At the very least, “hang” your thread, and run your fingers along it to separate the threads. 2. Calyx: stitching this directly under the petals using 2 strands of the paler green (DMC471) in chain stitch – following the design around. 4. Leaves: still using the paler green, and using 2 strands of thread, stitch the leaves using cretan stitch. 5. 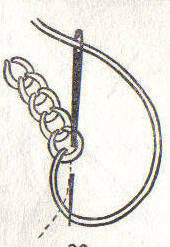 Heart: this should be stitched using braid stitch in metallic thread. 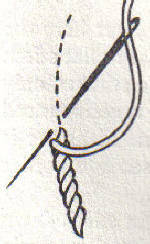 Use 2 strands of blending filament, or 1 strand of fine braid. You could also get purl and couch that down instead of doing braid stitch. 6. You will see that on the download pattern, the vine is only shown at the bottom. When you have stitched everything, stitch the vine, twining it around the heart, using 2 strands of the darker green thread. 7. Add beads where you want to give a texture to the design. This is a more advanced project than the others I have given, but it is one that I am sure that you will enjoy – and it’s not THAT hard! Click here to open the pattern image. Right Click on the pattern and save the image to your computer to download.